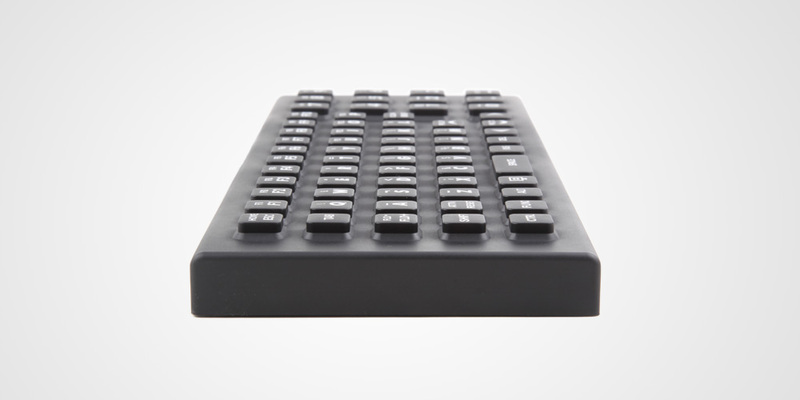 The SIK 65 is an alphanumeric programmable keyboard with a rugged silicone surface, having been specifically designed for use in harsh environments, rugged applications, wet room applications and machine control. 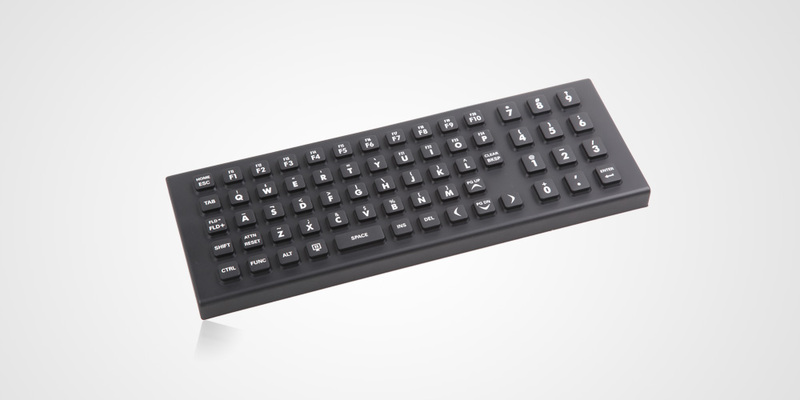 The special silicone surface protects against dust and liquid ingress, being hermetically sealed to protect the entire keyboard, with the unit meeting the IP66 rating for fluid protection. 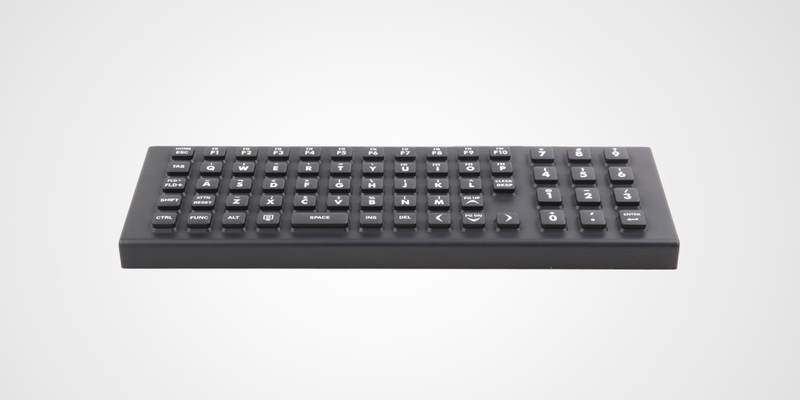 This new keypad technology and the design of the unit allows operators to work seamlessly even when the operators need to wear protective gloves. The key surface provides enhanced protection against hard use by making use of a special PU coating to provide long term abrasion protection. 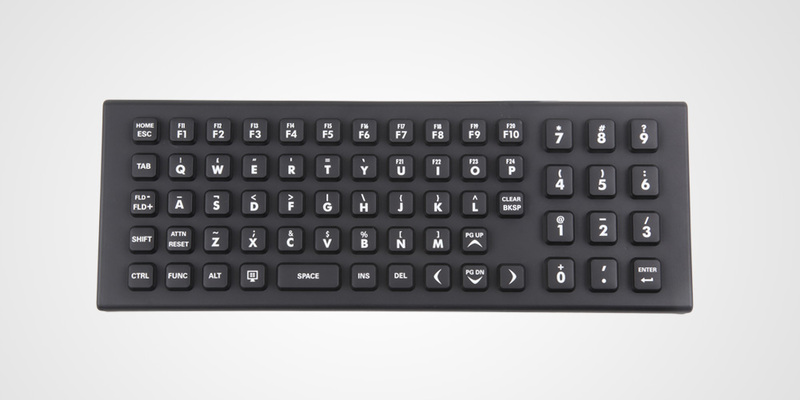 One special feature of this keyboard/keypad is the use of backlighting on each of the key buttons, providing users with enhanced key location and selection in harsh and limited lighting conditions. The underside of the keyboard features integrated screw threads arranged in a 75mm VESA mounting arrangement for ease of integration and mounting. Alternative fixing methods could be provided if required. Custom key graphics and product branding, epoxy coating, subject to quantity requirements. With the ability to offer rapid software design, electronic and embedded software development, PrehKeyTec has been the partner of choice in many demanding applications and requirements in the field of data entry solutions. 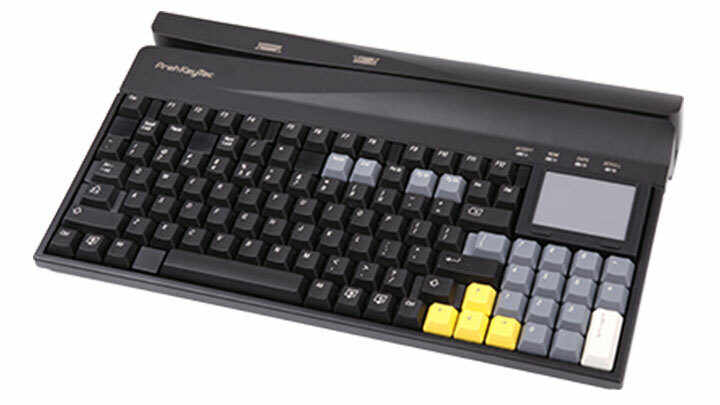 The SIK 65-Alpha keyboard can also be offered as a base system onto which customer specific requirements are engineered into the solution, these could include: custom layout, key markings and final electronic hardware performance specification, this allows the customer to have a completely tailored solution which meets their exact requirements. Resistant to liquids, such as: hand lotion, sweat, soap, Detergent, motor oil, gear oil, diesel, Alcohol, antifreeze etc. 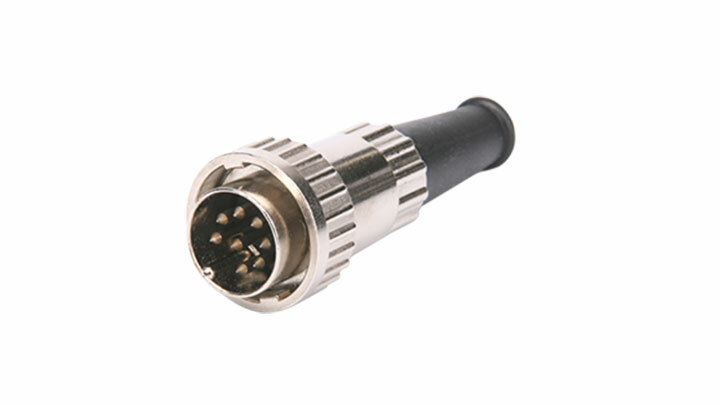 EN 55022:2010 + AC:2011 Class B, FCC Part 15 Subpart B Class A. Electro-magnetic field according to DIN EN61000-4-3, 30 V / m.
EN 55024:2010, ESD Electrostatic Discharge according to EN61000-4-2 ±20kV air discharge, ±8kV direct discharge.